Michael speaking to military personnel on the Falklands. Crown Copyright. 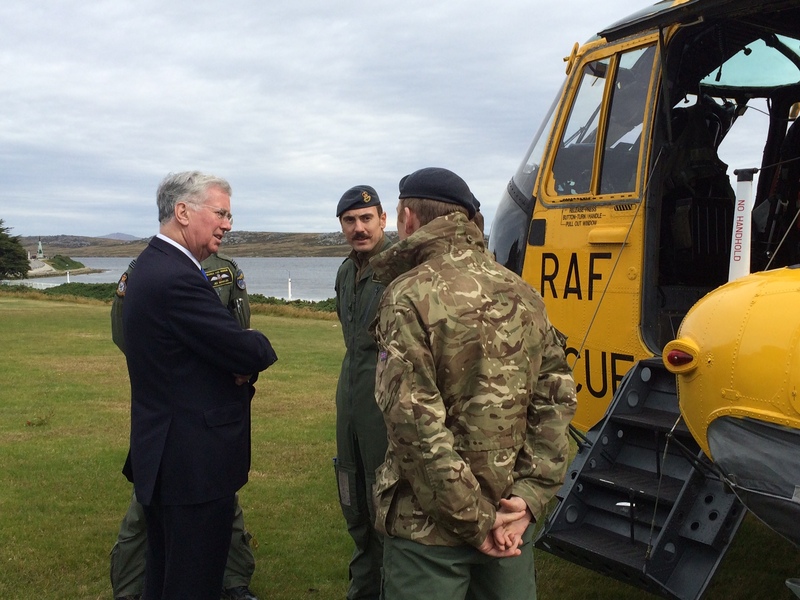 Michael has visited the Falkland Islands this week in the first visit by a UK Defence Secretary in more than a decade. He spent time with islanders and MOD personnel in the capital Stanley and other sites, witnessing some of the construction work which is taking place as part of a £180m, 10-year commitment to modernise the defensive infrastructure of the islands. The £180m upgrade package includes £60m to improve the power station at Mount Pleasant Camp, £22m to improve facilities at the berths in Mare Harbour, and £20m of work on accommodation at Radar Heads. Michael paying his respects to those who fell in the 1982 conflict. Crown Copyright. 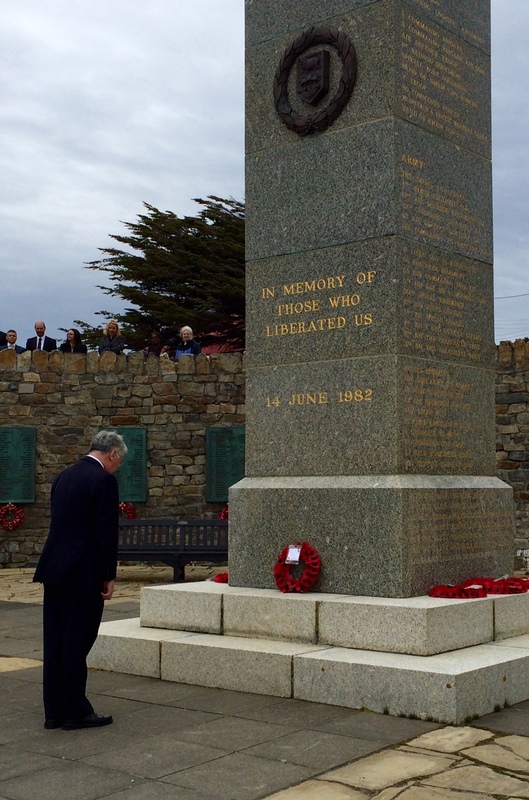 As well as meeting current military personnel he also visited key locations from the 1982 conflict, including at Goose Green and San Carlos, and paid his respects to those who died on both the British and Argentinian sides. Michael said: “This was an important opportunity to hear about life on the islands and the potential for economic development that will bring more jobs and prosperity. The right of the islanders to determine their own future was settled over 30 years ago and confirmed by the recent referendum.